Always in our thoughts, Dad. I have lifted your family to God every morning for over six years. I pray that Paul's life and death will bring glory to His name. Officer Lazinsky, thank you sir for your service. We will keep you, your family, and the El Mirage Police Department in our thoughts. Thank you for your service to our country and your community. R.I.P. my friend although i don't know you, i can feel the pain in my heart. You are now with God, where there is no danger. R.I.P. my brother in blue and prayers go out to your family. May GOD continue to watch over and PROTECT them. We have your back. Matthew 5:9 Blessed are the Peacemakers. Godspeed Officer Paul Lazinsky E.O.W. We have it from here. Redondo Beach Police Dept. Ca. Rest in peace Officer Lazinsky, my sincere condolences to your family and to your department. God speed as you now patrol the streets of gold. Your service will not be forgotten. May peace be with you and strength to your family. 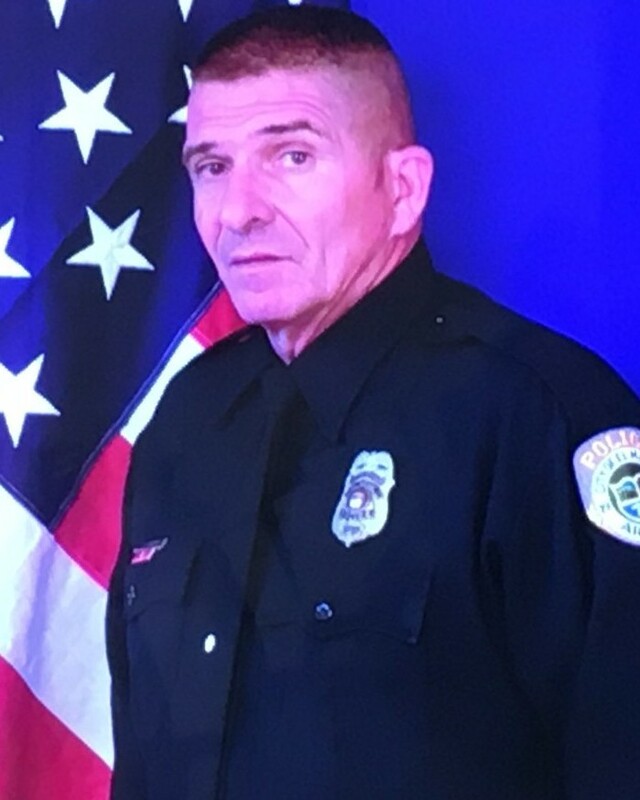 My prayers and condolences to Officer Lazinsky family, friends and members of the El Mirage Police Dept. Thank you Officer Lazinsky for your service. God Bless You. Rest in peace. Thank you for your service to your community. RIP. You are a great American. Thank you for your service and sacrifice. Rest In Peace Officer Lazinsky. Our deepest heartfelt condolences to all of your family, friends, and brothers and sisters at El Mirage Police Department.